I have a special giveaway going on right now. 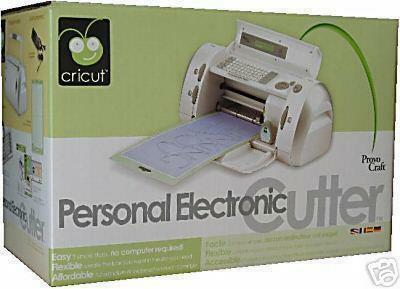 I am going to be giving away a Personal Electronic Cutter Cricut Machine!!! I have been saving this giveaway for a special day. Tomorrow I will be featured on the All Things Thrifty blog! As celebration of my big day I want to give all of you a chance to win this amazing little machine. I am not going to lie I have been thinking about keeping this for myself! But I wont! 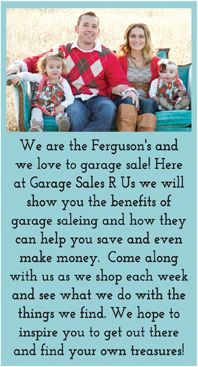 You must be a follower of the Garage Sales R Us blog. You must also be a follower of my Facebook or Twitter page. You can also earn extra points if you make a special post about this giveaway on your blog,facebook or twitter pages! Make sure to leave me a comment with the link to your post so I can see it! Here we go! Best of Luck to you all! Be sure to enter my July Sponsor Giveaway that is also going on right now! Hope I listed my FB link properly, but I posted the giveaway twice! Hello, from your newest follower! I'm so glad you stopped over at my blog...I'm lovin' yours! Would love to be your lucky winner. There ya go Robin, I did everything you asked :) Hope I win hehe! Keep up your hard work, your the best! I just want the yellow headboard!! :) No place to put it but loved that and the dressers you redid were super cute too! Hi Robin! I'm already a GFC and FB follower, and I am now following on Twitter! Check out my FB post about your giveaway: https://www.facebook.com/chasethestarblog?ref=hl really great giveaway, thanks for hosting it Robin! Fabulous giveaway, I have done all I can and look forward to hearing who the lucky winner is! (Sent a message via FB, but I have pinned some pics and linked that to my FB to get a few of my crafty friends to get linked to you through the Pinterest channels too! I REALLY want this! I suppose now, I'm just sounding desperate, oops! By the way, I just put up a post on my blog about your giveaway. 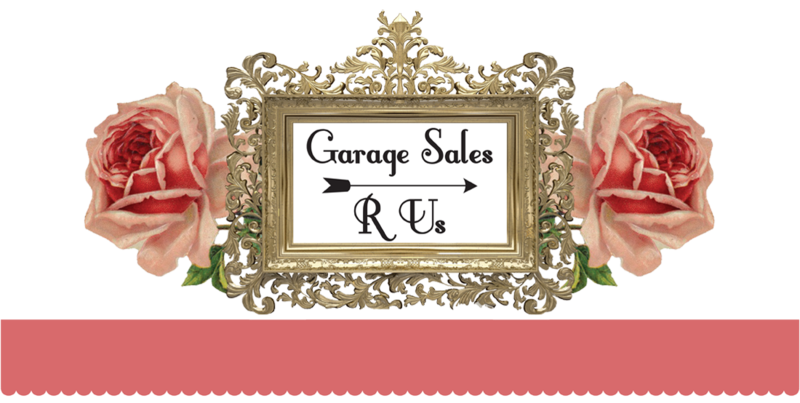 Here's the URL http://housepretty.blogspot.ca/2012/07/a-fellow-bloggers-giveaway.html. The lucky winner is getting a super nice giveaway! Thanks Robin!!! Aw, I am in, wonderful prize, I want it! Such an awesome giveaway! Thanks so much for the invite and the opportunity :) New follower as well. have an excellent week! What a great giveaway!! Tank you for the chance to win!! Thanks for stopping by my blog! I'm following you now too. Great giveaway!!! Cute blog! Glad I found you. Thanks for the fun giveaway! Thanks for stopping by! Returning the follow and entered this awesome giveaway! Thanks! Thanks for stopping by my blog. You have a really great blog concept! I love the idea of buying all my clothes budget, but I am not very good at creating outfits. I followed you and will get some great ideas I am sure! Posted it on my blog then posted about my blog on facebook. Two birds with one stone! But you can't sign up for a new google friends account now... it's a retired program, so I couldn't do that. Thanks for being my new follower! I am glad to be in contact with someone who has the same interests as me. I also like your facebook page, followed your blog and also made a post about this giveaway http://missashleylynne.blogspot.com/2012/08/a-give-away-is-going-on-but-there-isnt.html. Thanks for letting me know about this, you rock! New Facebook follower! Love your blog! Thanks for the invite, I have shred your contest on my Facebook http://www.facebook.com/pages/Country-Momma-Cooks/172036739552428 I am also following you via GFC and Facebook........come and visit CMC tonight at 6Ct time for my weekly link party.........and have a great weekend! This Giveaway is awesome but I have never understood how to enter with rafflecopter. I have tried many times at other blogs and still I can't get it. It must be because I'm blond. I am a follow of your too, great giveaway. Your word vertification made it a bit difficult to leave a message. I love using Cricuits and think this is a fabulous giveaway. I am a new follower as of today.... THANK YOU for stopping by my blog & for following me too!!!! look forward to sharing creations & ideas! What an awesome giveaway for one lucky person! This would really fit in nicely with my paper crafts :-) Thank you for this wonderful opportunity! WOW!! I blink and you have over 600 followers!!! I am so excited for you Robin! I cannot wait to see where this blog takes you. It is a blessing knowing you my bloggy friend.